On a hot summer day, few things compare to the satisfaction of your car’s air conditioning kicking on to provide a cool, invigorating breeze. There’s no doubt about it – for most of us, air conditioning is about as important as the steering wheel. It’s a luxury that we may take for granted, so let’s learn a bit more about this often overlooked system, new air conditioning technology on the latest Ford vehicles and what you can do to keep it (and you) cool during the dog days of summer. Many people expect the interior of a car to reach a reasonably comfortable temperature within 15 minutes. On a sunny 95 degree day, however, that interior may be as hot as 140 degrees. 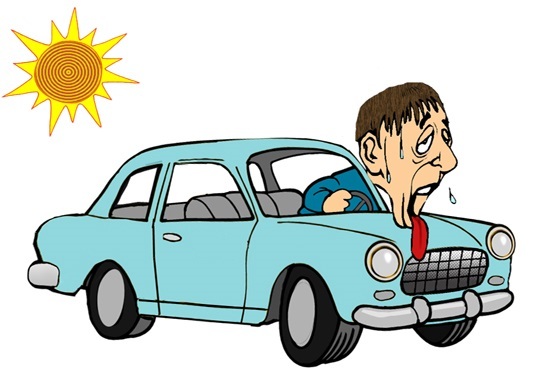 In order to cool a vehicle down a comfortable level, most vehicle air conditioning systems have maximum cooling capacity equal to small home air conditioning system. Newer Ford vehicles use a limited reheat strategy to determine the optimal air temperature, making air conditioning more efficient. Previous systems cooled the processed air to just above freezing, then reheated it to the desired temperature. The newer system cools the air down to just below the desired temperature, then reheats it slightly to the desired temperature. This reduces the energy required to operate the system and results in better fuel efficiency. Speaking of efficiency, many newer Ford vehicles have a new feature called a variable displacement compressor, which helps your air conditioning run more efficiently. Instead of being driven by the engine, it is electric. This reduces the load on the engine and lets the compressor run at the speed needed for the cooling requested independent of engine rpm. This system is available on the 2015 Ford Edge Escape, Flex, Focus, Fusion and Taurus, and it will be available on the 2016 Ford Explorer. 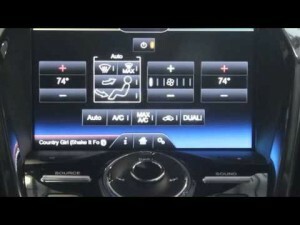 The air conditioner in a new Ford vehicle is smart. When operating in auto mode, the system takes advantage of several sensor inputs to best maintain your comfort level in the cabin. The system can tell what direction the sun is shining strongest on your car, and it adjusts output temperature accordingly. For example, if the sun is shining on the front passenger-side window, air conditioning output is stronger on that side of the vehicle than on the driver’s side. Come take a test drive and feel that cool air for yourself!